Rising Star Games has today announced that Hello Kitty will be racing onto the scene on Nintendo Switch in Hello Kitty Kruisers, a multiplayer arcade racing game. As you can see from the trailer above, the game features similar ideas to the classic Mario Kart formula, offering multiplayer racing action combined with items that can perform a variety of actions. Races take place on land, over water, and through the air, and you can either play in single-player or against up to three friends. You'll also be able to unlock a selection of outfits and vehicles as you play. Hello Kitty Kruisers was also released on Wii U back in 2014 and, it has to be said, we didn't really find all that much to shout about when we gave it a 3/10 in our review. Hopefully some things will have improved this time around. We'll be sure to keep an eye out when the game launches, both digitally and physically, this spring in Europe and North America. To each their own, I guess. I try not to bash games others enjoy but I'm really having a hard time finding anything positive to say about this port. Why does it seem like all the shovelware is getting physical releases? It's true for every console but, for the Switch, its starting to outnumber the good titles. @ieatdragonz Uh... I can think of three pieces of shovelware so far with physical releases (This and the Moto Racing games, which even then are probably too good to be shovelware), while I own 40+ good physical titles. What did I miss for shovelware? Publishers took the "port the game that we really want: Hello Kitty Kruisers" joke too seriously. Yes! GOTY right here folks! Make way Mario Kart 8 DX! You’ve got nothing on this! It was painful to type that. Look's like a poor man's fusion of Mario Kart and Diddy Kong Racing. The way one of those items fired and interacted (didn't interact) with other objects/environments looked appalling. Yeah, no thanks. @link3710 Cars 3: Driven to Win, Party Planet, Ben 10, RBI Baseball 17, Touhou Kabuto V: Burst Battle, WWE 2K18, Troll and I, Monster Jam:Crush It and Cartoon Network Battle Crashers. The moto racing games I didn't even think about because I'm not in the Pal region. @ieatdragonz - Just because it's a bad game doesn't classify it as shovelware. Talking mainly of Cars 3 (since it has its own category, Liscenced) and Touhou (which is just generically bad). Shovelware falls more in line with not only being bad, but buggy and released en masse with several like it, under usually the same publisher. Like "shoveling" them onto shelves, hence the name. Switch is finally getting a real racing game! Well somebody will buy and like it so I'm happy for that person. I just wonder, why Hello Kitty games( NDS, 3DS, Wii, Wii U) are almost never really Wow in term of graphics and gameplay quality ? I do like the Cuteness of them, but their Mediocre game presentations made me think twice to buy their games. This is an abomination, and possibly one of the thirteen accursed signals of the apocalypse. The form of the destructor has been chosen! @Anti-Matter Because the owners of the IP don't give a damn about the quality of their videogame products. Sell it to the highest bidder and hey-ho, money in the bank. Says more about the owners of Hello Kitty than anything else. @Paraka I don't think Licensed should be it's own category, plenty of licensed games are pretty good (like LEGO games) while a lot of them are cheap cash grabs, worthy of the name shovelware. When you are talking about Cars 3, yes its not a "shovelware developer". But I still think it should still count as shovelware. If a game comes out and is widely regarded as poor and uninteresting, then I think it counts. For example I didn't put Has-Been Heroes on my list, because there are enough people who genuinely like the game for it not to be considered shovelware. Touhou was obviously rushed to market and had little effort, while Has Been feels complete. I was even considering putting Monopoly on that list because of the number of crashes I had in that game. Rushed POS by a big company is sometimes much worse than shovelware. @HauntedNostril I would love to see an actual Ghost busters sequel. That last 'thing' insulted me on so many levels. I'll bet Ryan tore this particular assignment right out the NLife Editor's hands. Hot dawg, what a scoop! For a second there, I thought someone was having a laugh and ported Mario Kart 64 to the Switch and replaced the karts and characters with vomit inducing cuteness. I’m so hyped for this, I hope there will be a Collector’s Edition!!! now even the bad WiiU games are getting ported. Amazing. The only ones happy about this news should be those trying to hunt down pricey copies of the Wii U version. Oh man! Don't even get me started! @HappyMaskedGuy I kind of did, actually. 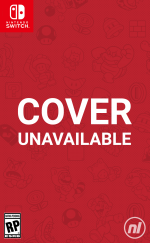 The Wii U version is currently a rare and expensive item. Cheapest copy on ebay is around $60 for disc only. $100-150 for a complete in box. I only have one word to say on the matter........ WHY? The stench of kitty litter still reeks with this one. @admwllms Ahh, that would have been better! @RyanCraddock Slim pickin's at the mo, then? My body isn't ready for the glorious return of this masterpiece! GOTY. Full stop. Nothing else needs to be released. I wish I would have picked this one up when I saw it years ago. The game is not great, but the resale market is crazy for this game on the Wii U. @ieatdragonz Per your shovelware comment - in this specific case this release is sort of warranted. The WiiU version is goes for high prices due to its obscurity. Go on ebay and check, game goes to up to and over 200 US dollars sealed...even Gamestop sells it used for 80 bucks! It makes sense that Sanrio or Nintendo would mistake this weird collectors mindset for actual interest in the product. Anyway it looks like a cute designed, sloooowed down version of Mario Kart for young kids - have only heard it's bad. @link3710 Troll and I - is another...or is that just a bad game? I’d consider it for our little one and to be funny but 3/10.... yikes. @RyanCraddock Nah, just sometimes you want something a little different! The Wii U version is probably pricey now because it didn't sell well and so collectors looking for a complete Wii U collection are putting the game in demand. Sorry @Dang69, I now see you already made this point. @ieatdragonz - buggy doesn't classify a game as shovelware either, that can make a lot of top selling games fall into that category. Hell if that was the classification any casual game, regardless of its genuinely marketed strategy and quality would be tossed into that category. Shovelware is becoming the buzzword for just bad. Saw Codename STEAM, Fed Force and Other M tossed into that category because of that broadening meaning of shovelware. Some games are just... Bad. People need to realize this is a system that kids play too. Kids who don't care whether a racing game has the best drifting mechanics or the best tracks ever, they just want something enjoyable with either the characters or some theme they like. For example, I got my daughter Minecraft PE on the iPad which she loves, but she'll still sometimes play (and enjoy) some of the other lesser clones instead, only because they are themed around My Little Pony or candy stuff. And that's not a bad thing. A game should be some thing you enjoy playing, regardless of whether that thing is the best in its class. As a parent, I'm glad the Switch has these options as well, in case we ever want them. I wonder if they'll fix the bug where opponents get stuck in walls. Probably not! To be fair this game doesn't look bad compared to that Superman 64 knockoff but I guess we'll see. HAHAHAHAHAHAHAHA! I'm sorry but that trailer is so pathetic that it made me laugh. I bet Anti-Matter was waiting for this non-violence game. Wow. This game looks like TRASH. "Hopefully some things will have improved this time around." Since we got Mario Kart 8, every other kart racer is automatically pointless. Hello Kitty confirmed for Smash 5. (you may laugh. But who would've guessed we would see Jigglypuff, Mr. Game & Watch, ROB, or the dog from Duck Hunt? Throwing in a weird novelty character is the rule, not the exception). Sorry but this looks like a lot closer to a Sonic Racing Transformed than MK clone, what with the "proper" flying and boat racing. Though unlike that awesome game, this sadly looks pretty terrible. You'd think Sanrio would have enough money to hire better developers. Most Hello Kitty games are average at best. Though my daughter had a pretty decent one on GBA years ago, had a Puzzle Bobble minigame built in. Derivative, but well made and cute sprites. We had fun with that. I'd be made up if the Sanrio characters were DLC for MK8D. Aww! I love Sanrio. ❤ Are there only four characters though? So our doom will be death by cuteness of Hello Kitty? I'm somehow okay with this. I wonder when UIG games start to invade Nintendo Switch ? 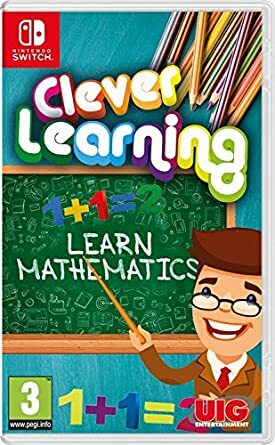 Still curious about Math games for Switch by UIG. That game will be Tooo Easy Peasy to me. It just a 1st grade Math. "I bet Anti-Matter was waiting for this non-violence game." Hello Kitty Kruiser looks cheap for me compared with Mario Kart 8 Deluxe. I like Hello Kitty & friends as Animated Cartoons and their products such as mugs, T-Shirt, dolls, toys, etc. But when as video games, i felt disappointed due to their Mediocre presentation. Maybe their small budget can't make very WOW games. The verdict = i think i will pass Hello Kitty Kruiser. @Oblique I said "they just want something enjoyable". Sounds like you didn't enjoy your games. If a kid enjoys it, what's the problem? People judge these games as if they were trying or even needed to be another Mario Kart level racing. If it's priced correctly, works correctly and is fun enough for a kid, who again, doesn't care about whether the mechanics are the best in the market, there's no reason why it shouldn't exist. It's like complaining that they sell basic rubber balls when there are better made balls out there. Gotta love all the comments by cantankerous old farts bemoaning the existence of a game for girls under 8. Considering the smart steering/auto-acceleration features of Mario Kart 8 Deluxe, this game feels totally redundant. The irony of it all is that this game will probably be more difficult to play than Mario Kart (at least in terms of navigating to the finish line). Very young children tend to lack the coordination to play racing/driving games. The Mario Kart killer has arrived. If it sucked on the Wii U then I don't think the switch version will be much better. I have this game on the Wii U. One of the few I think, but I collected all Wii U release for North America. I had never opened it until my daughter who was 5 at the time wanted to play it. It is a pretty vanilla racer and even my daughter's interest waned quickly. Not the worst game I have ever played though. Now it sits on the shelf and I have been tempted to drop it for $150, but my complete retail collection means too much. wheres my Garfield Kart HD? Holy $**t, my eyes are burning by looking at the graphics. . . . Once again, my sons’ LeapPad has wayyyy better graphics than this. Marshmallow Man was kinda cute too and look how that turned out! That's how they get ya! Well, if there's ever another Ghostbuster remake you're playing Ray Stantz! Well darn! Now I'm gonna be the one who summons Kitty the Destroyer and scar little girls minds everywhere. It's so ironic. Their games by cover looks adorable but when get into gameplay, almost all their games look mediocre, not developed so well. The Only Hello Kitty games that i think looks Acceptable = Hello Kitty Cube Frenzy PS1, Hello Kitty Magic Apron 3DS, Hello Kitty & Friends : Rockin' World Tour 3DS. Some of Hello Kitty games have very annoying voice over (Her accent & voice tone, tho...) like Hello Kitty Happy Happy Family 3DS, Hello Kitty Happy Party NDS. Well, if only Hello Kitty games developed and published by bigger company like Nintendo / Capcom / SquareEnix / Bandai Namco, i believe their games will looks much better in graphic presentation, voice over, 3D rendering, gameplay features, etc.